As a member of Propeller’s Pro Bono Professional Network, I donate design services to one of the fellows in their Accelerator Program every year. 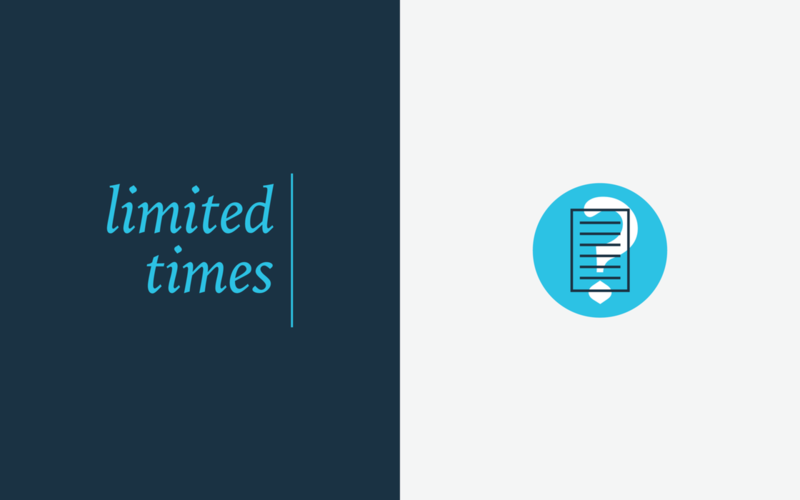 In 2013, Propeller paired me with a budding venture called Limited Times. I was brought in to create an overarching identity (logo, fonts, colors, etc.) 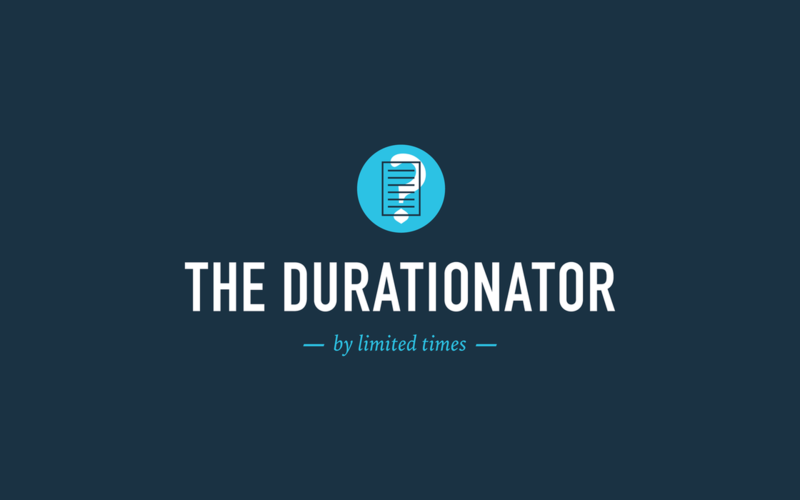 for Limited Times, as well as an additional treatment for the Durationator. We landed on an solution that feels both powerful and professional and is augmented with a quirky icon for use with the Durationator. 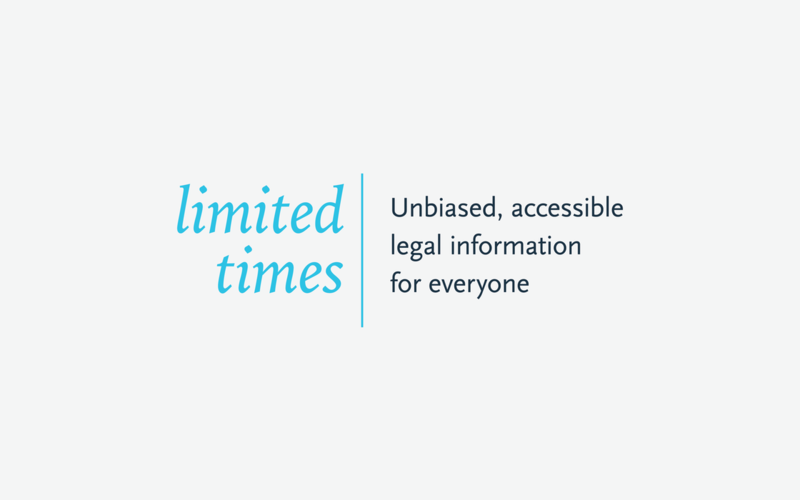 All in all, this is a remarkable venture that has the potential to change the legal landscape, and I look forward to seeing the launch of the Durationator as well as their future projects. Special thanks to Geoff Coats, of Line 58, who served as a mentor for Limited Times, and contributed strategy and feedback to the design process.